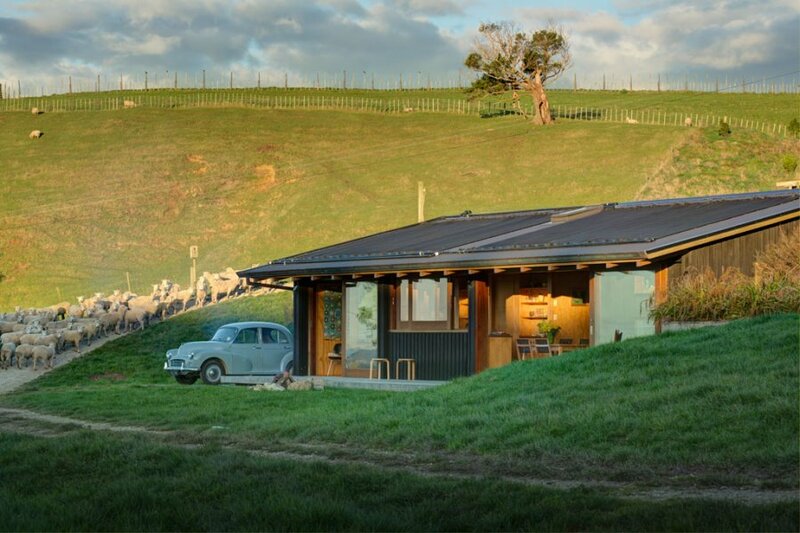 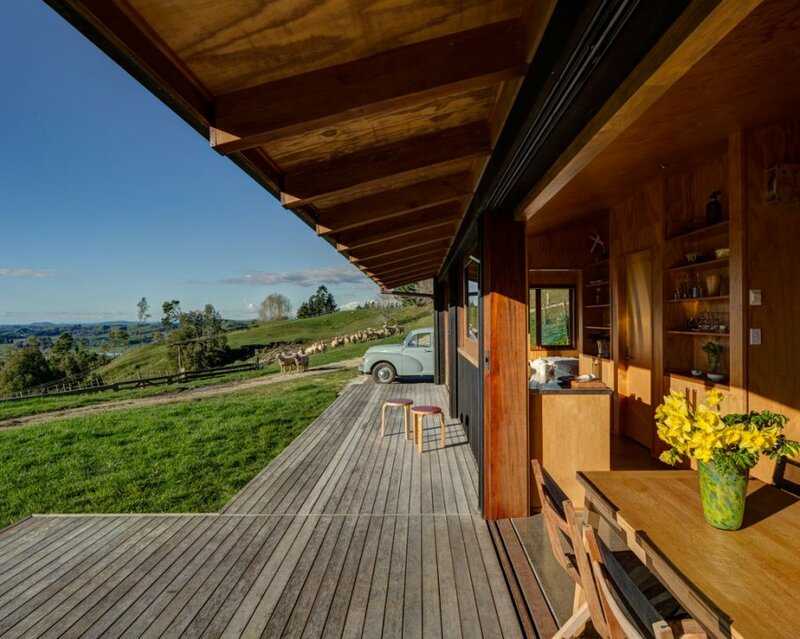 Small house for visitors on a sheep farm. 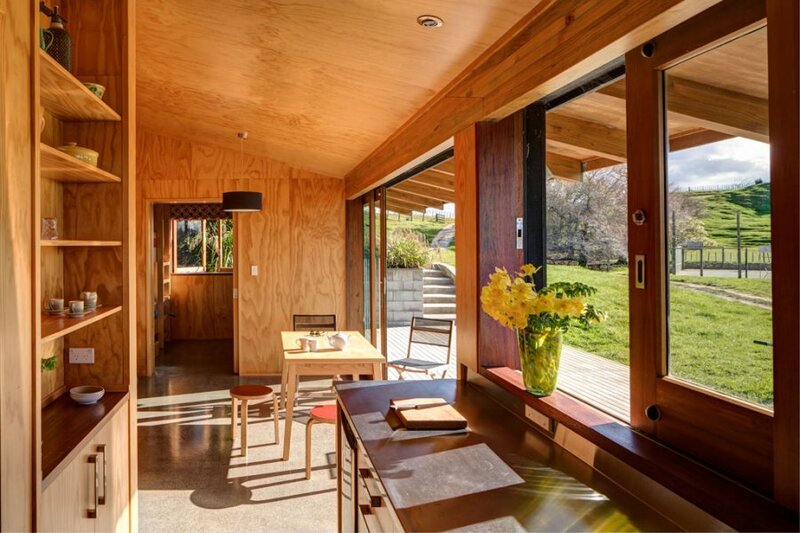 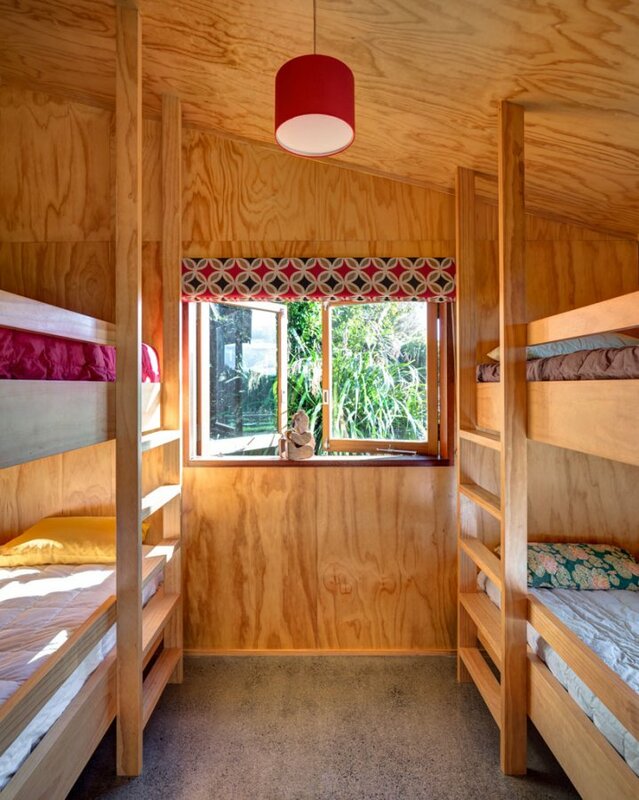 Cedar board & batten, ground concrete floors & plywood interior linings. 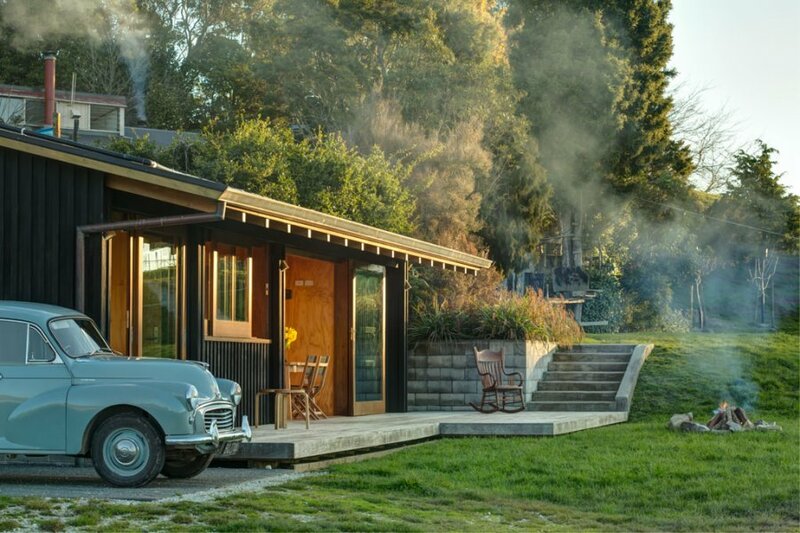 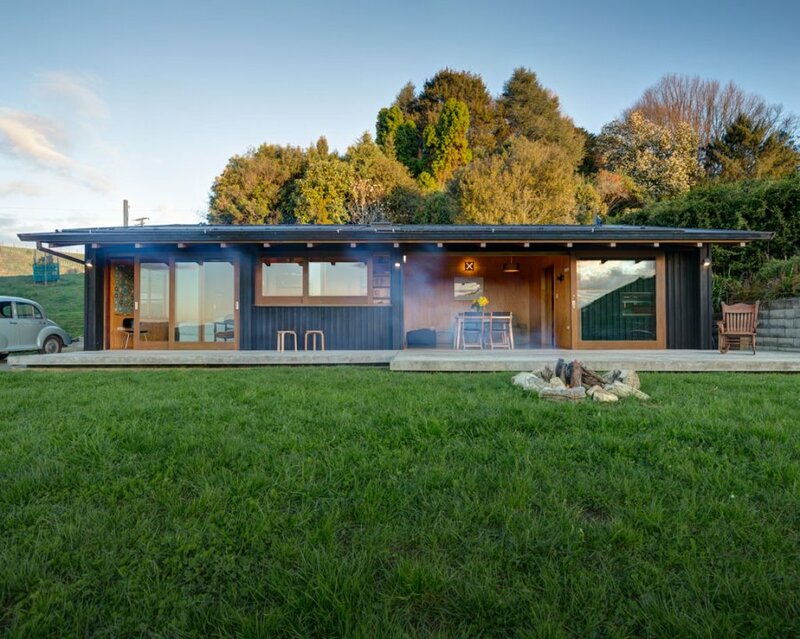 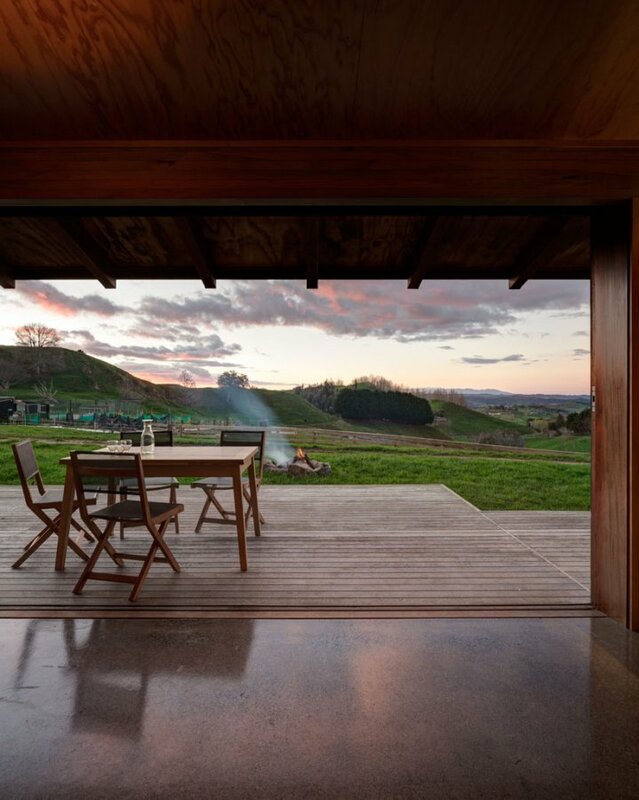 Te Kuiti, King Country – collaboration with our good friends Thom & Helle of Studio Nord.